The main window is sparsely populated with New, Scan, Save, Stop, Rotate clockwise or anti- and Crop. An a scan preview. That's it. 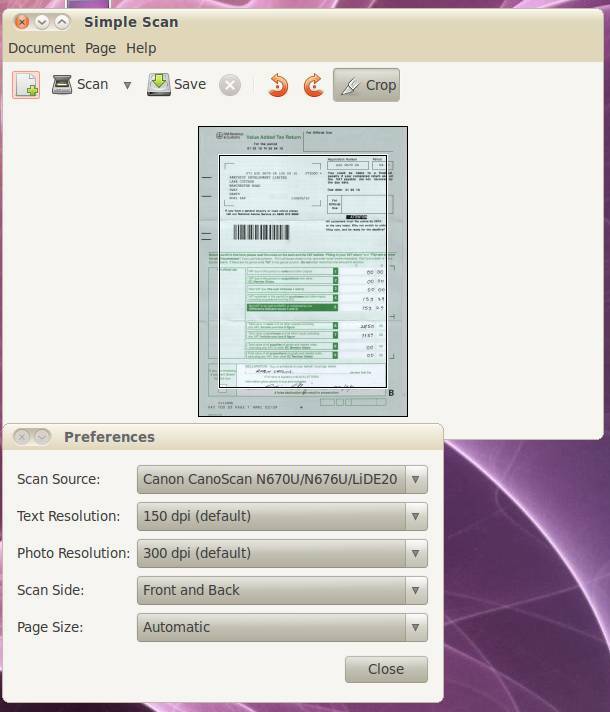 Preferences only contains drop-downs for scan source, text resolution, image resolution, scan sides and page size. Save provides choice of selected image formats with a quality setting. Done.